For repeat clients we do jobs for as little as $1,000. 42 Projects for Design & Build . 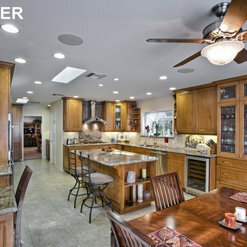 . . by Roger Perron, Inc.
Remodel of Kitchen, Family Room, Master Bath, Laundry - Shadow Hills, CA. 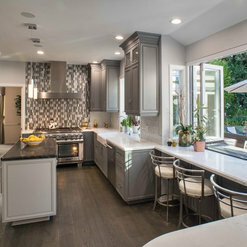 Kitchen and Family Room Remodel – Pasadena, CA. 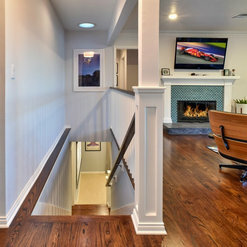 Basement Conversion to Master Suite and Media Room - Sherman Oaks, CA. 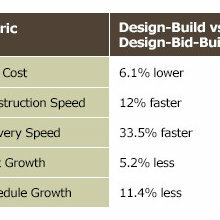 28 Reviews for Design & Build . . . by Roger Perron, Inc. 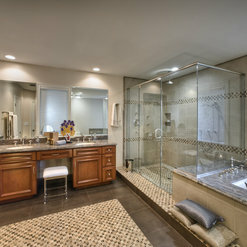 I have worked with Roger on several high-end projects for bathroom and kitchen design. I can say that if you are looking for an experienced design and build company, Roger and his team would be an excellent choice. Their attention to detail, and sincere engagement with their clients creates a first rate solution, mindful of budget and aesthetic preferences. 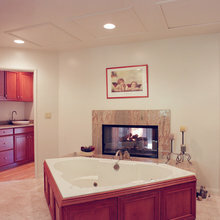 Construction needs and design are easily communicated, and his professional staff are always eager to help. Design Build By Roger Perron is one of the best contractors. They not only provide a superior product but they have the ability to assist the client from conception, through design to completion. Not many companies have that capability. I highly recommend their services if you are looking to complete a project. With Roger Perron's imaginative and functional design, we now have a beautiful new back patio and arbor and countless other features throughout the house, especially in the gorgeous new master bath and kitchen. What Roger brought to the table was an outstanding design perspective in addition to decades of experience in construction. This project has given us all new systems (plumbing, electrical, HVAC -- resulting in a drop in insurance costs), new appliances (many Viking built-ins), added the master bedroom, its walk-in closet and master bath, completely renovated, enlarged and relocated the other two bathrooms and completely modernized the kitchen (going down to the studs and adding a breakfast nook and laundry room), replaced the old cracked masonry chimney with a modern flue so that the fireplace can be used again, and much, much more. At the presentation of the final design plans, Roger provided us with a detailed, highly professional analysis of each part of the work to be done and the cost of each part. We plan to live in this home for the rest of our lives and my wife especially wanted this to be our dream home. We have been delighted with the results. Roger's architects and engineers were most skillful at negotiating the complex permitting process and committee approval hearings which are especially complicated in our city. On the construction end, Roger has a most highly skilled and delightful staff and has developed a long term relationship with the best group of subcontractors I have ever seen. 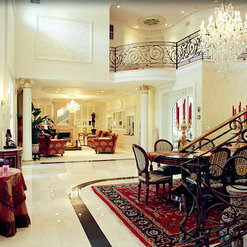 This is truly our dream house and we want to thank Roger ever so much for making it a reality. Thank you so much for this review and you are entirely welcome! I have been working with Roger for several years and several projects. I can tell people that Roger is an absolute artist! His attention to details is excellent and he puts out great products for his customers. I would recommend him to anyone looking for creative construction planning and execution. Look forward to working with you again Roger! Thank you Craig for the great review and for the good work we've done together. We are happy to write this review that highly recommends Roger Perron’s design and construction services. As was promised, the new wing of our home was completed to our satisfaction – on time and on budget. Recently visitors have remarked about the quality of Roger’s work and seem quite amazed when we tell them that we encountered virtually no significant problems while the project was underway. Apparently, people we know have not had the good fortune of working with professionals as skilled and as courteous as you and your team of craftsmen. Thanks for your review and the good words. We're very glad you are satisfied. 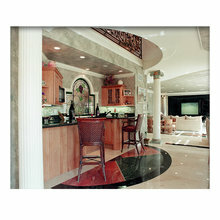 Roger Perron Design was a great low key professional guy and company to work with. We fell in love with his employees who were always trying their hardest to do a great job and make remodeling as painless as possible. Roger brought great ideas to us for the designs, brought in professional companies that always got the job done well. He integrated our ideas, wants and products I purchased with nary a problem each time. He even went overboard on helping me with a complicated floor heating set up that was uncommon to the States. Roger uses a computer program and coupled with his years of experience, gets your estimate correct, no "guesstimates" here! 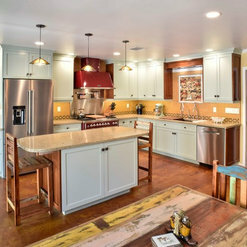 You will always know how much a change order is before the execution of any changes you are making to your original plan/contract....because if you have ever done a remodel or build you know those changes, small or large, that you want to make can add up quickly if you aren't careful when remodeling or building can end up being budget busters. So its always nice to know ahead of time. The price always seems high when you first look at it but when you see the itemized cost breakdowns and the experience of no hassle on time completion, I will always give Roger a call, and I often recommend him to everyone, always well worth the cost. 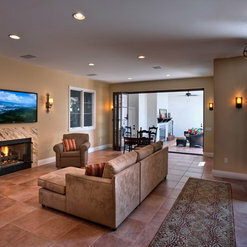 We used Roger to build additions, remodels and add a whole new wing to 2 separate houses. How many times do you hear someone say they hired a contractor more than twice? That's a rare statement and it speaks volumes for the trust we have in Roger and his crew. Thank you very much for your review and detailed comments. We enjoy working with you just as much. I recently had the pleasure of working with Roger and found him to be very talented, extremely professional, and personable. He cares about the project, is attentive to the client's wishes, and completes the the project in a timely manner. Thanks for your review. You did a good job for us as well. Roger Perron is one of the best General Contractors I have had the privilege of working with. I am an old school Roofing Contractor who values honesty and quality workmanship in what I do. 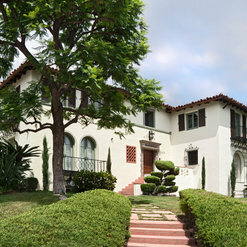 Roger is one of the few General Contractors in southern California who also has those traits. I have seen his work and the end products are truly outstanding. If you are looing for a contractor who is honest and has all of the skills and crews needed to really build exactly what you are looking for - then Roger is the contractor for you. I cannot recommend him highly enough and I don't do that very often at all in the Southern California market. This is an outstanding review and we thank you for it. Los Angeles is a place, like many others, where it is almost impossible to find professionals, especially contractors, who are caring, reliable, honest, and especially, punctual. Nothing, it seems, is ever done right the first time or when promised. Roger Perron is an exception. Our kitchen was done beautifully by Roger and his craftsmen and became the central selling point in our easy search for a new tenant. The carpenter became ill with the flu and delayed the job four days and even so the work was completed a day ahead of schedule – something unheard of these days. Roger’s inputs and suggestions were innovative and clever and we followed many of them. Any minor errors were taken care of immediately and with good cheer and with Roger assuming the cost. On the few occasions where unseen complications arose, Roger presented us with the alternatives and never once pressured us into incurring additional expense. Some parts of our renovation job in other parts of the house were handled by people to whom we subcontracted by ourselves. Do we wish we had let Roger handle it all! What a pain! Anything which Roger handled was done right the first time or his people corrected it immediately. The others whom we hired on our own did not work anywhere near as well. The time, trouble, frustration and stress which he saved us was invaluable. The quality of the work and of the materials were top-notch. He is a man of ethics, caring, straightforwardness and good humor. We have recommended him to a half dozen of our friends already. If this review seems too good to be believed, we can only say that we had never met Roger before he gave us the estimate and that our feelings are for real. You can’t afford a cheaper contractor. We would never even consider another contractor the next time we need work done. Thank you for taking the time to write this wonderful review. We are very pleased with the home you built for us. Even though we saw it happening, it is hard to believe it is the same location as the old house. Your design ideas have proven to be right on. Even with the surprises we encountered during the remodel, you kept the project on schedule and completed it within the expected time frame. This reliability was exhibited through the entire project. You always did what you said you would do, when you said you would do it. When an unexpected problem was encountered, you found a fair and expedient solution. We may have been able to get a cheaper job, but not at the level of quality and value that we are now enjoying. We started and own an 18-year electrical contracting business, so we can spot shortcuts and we recognize quality. This is a home we will live in for a number of years and we do not regret a single dollar that we spent with you. We can see and are enjoying the money that was invested in this home. If we had wanted a house, then anyone could have put up the walls; you built us our home. We love showing off the place and the unique touches that we worked on together. Thank you for this great review. 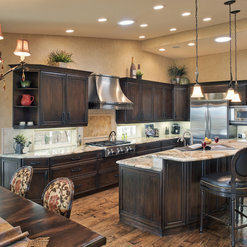 Here's to your enjoyment of your home for years to come. We wanted to take this opportunity to thank you and your staff for a job well done! At our first meeting, you were able to translate our needs and desires into a workable plan. As we went forward, the integrity and professionalism of you and your staff was exceptional. The commitment to excellence in detail and quality really made the difference. We were kept well informed and always knew when and what the next step would be. Not only was your staff a pleasure to work with, but your subcontractors, too, were courteous and professional. Since we were living in the house with a one year old during the construction, we also appreciated the fact that the job site was always left in a clean and orderly condition. A big “Thank You” to you and your staff for all of the long, hard hours that were put into our project. 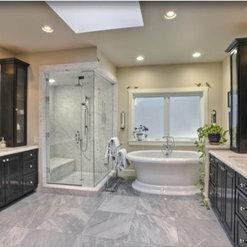 We have and will continue to recommend your services to others who are considering a remodel. Thank you so much for this review. 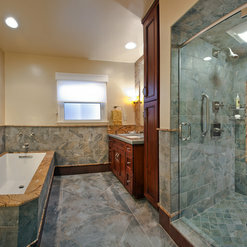 Your remodel project was a pleasure. Thank you for this great review. We've reviewed you with a five-star rating as well. 29 Ideabooks for Design & Build . . . by Roger Perron, Inc. 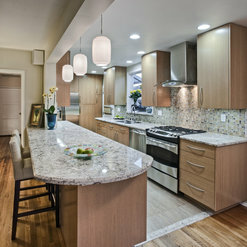 Contemporary Home Designs and Remodeling in L.A.
Design & Build . . . by Roger Perron, Inc. commented on a discussion: Help me find this tile!